The Virgo Voyager is a great starter boat with remarkable room for its size. 23ft Fin keel boat, 4ft draft. 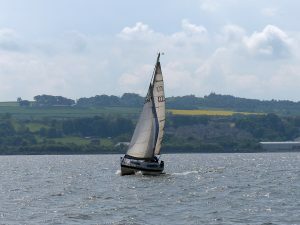 Currently stored at Bo’ness, the boat can be launched at no extra cost if the owner will be keeping the boat on the Forth, cutting out the additional cost carriage and crane in fees. inboard diesel engine, Beta BZ482 14hp. fin keel resealed 2 year ago.